Longmont, CO might just be America’s next craft tourism hotspot. Here’s why. IN A STATE flush with craft beer, food halls, and custom-made outdoor gear, it takes a lot to stand out. And yet there’s this growing buzz around Longmont, a burgeoning Colorado craft hotspot. The city is a prime example of how craft flavors and tastes should be incorporated into the local lifestyle, and you can’t be here and not sense it. Longmont residents are comfortable in their corner at the base of the Rocky Mountains, letting high-profile towns like Boulder and Denver hold the spotlight. After all, who doesn’t like being in on a good secret? The city has been quietly transforming itself over the years into an arts and culture hub, and its “small city” status is only an asset. So when you get here, move slow. There’s a lot to take in. Savor the flavors and stories, because Longmont might just be America’s next craft tourism hotspot. Here’s proof. Despite its growing status as a high-altitude culture hub, Longmont’s roots remain in ranching and farming. Locals know there’s no need to look outside the community for Colorado’s best cheese — two celebrated spots are right in town. The first is Cheese Importers, a Colorado-style celebration of all things cheese. The best thing about this place is that it gives a taste (literally) of what a world-class cheese operation looks like. It’s family-owned, houses a Euro-style cheese shop and marketplace, and pairs cheese with other delights at the in-house French bistro. When you’re here, check out the largest walk-in meat and cheese cooler in the state, and take your pick of cheeses from around the world. After your feast, stop by the marketplace and grab a cheese basket for that poor sap back home who missed the party. If your cheese craving isn’t yet satisfied, perhaps a cheesemaking class at The Art of Cheese is in order. It’s kind of like those wine-and-painting spots that are popping up all over, but with cheese — making it infinitely better. Real heroes of the fromage return home a Certified Artisan Cheesemaker by taking the multi-course route towards a bronze, silver, gold, or platinum certification. It’ll help explain why most of your trip photos are of cheese — consider it professional development. To top it all off, classes are led by a local dairy goat farmer. It’s farm-to-table perfection in a valley lush with food. If you’ve ever wondered what it’s like behind the scenes of the farm-to-table movement sweeping the country’s culinary landscape, Longmont is the place to be. The city is surrounded by some of the state’s most fertile farmland, and to get in on the action, look no further than Ollin Farms. This local, family-owned, sustainable farm produces natural foods with the surrounding environment always in mind. Yeah, yeah, big deal — well, my friend, it actually is. In Longmont, sustainable food sourcing runs deeper than simply slapping a label on canned goods at the grocery store. All local farms work hard to embody the growing culture of well-sourced fruits, vegetables, and meats grown in harmony with nature, instead of forcing nature to cooperate with market demands. Stop by a farm and observe (or send the kids to) a youth farming class, or take part in a chef-prepared dinner series, where chefs from local restaurants create an unforgettable meal right on the farm. 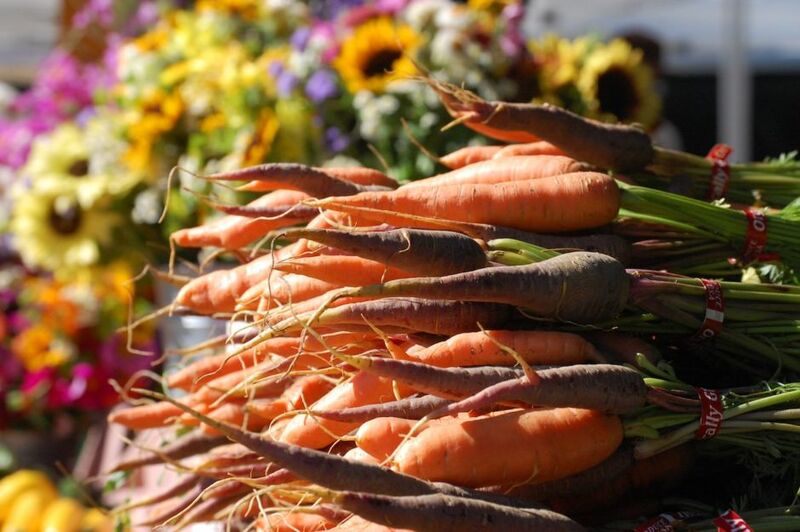 Another way to explore the culture surrounding Longmont’s well-sourced foods is to hit up the Longmont Farmers Market every Saturday from April through November. Local’s tip: Bring the kids! There’s activities to keep the little ones occupied — while you peruse the tasty fare and listen to live music — every weekend. The restaurants are in on the game, too. Forget the era of Wild West saloons not serving much more than a plate of deep-fried snacks to pair with a cold beer. These days, Longmont foodies enjoy restaurants where the chefs are local celebrities who pull out all the stops for their craft. I’ve become quite fond of The Roost, in the heart of downtown. Their rooftop deck is the spot to check out the surrounding cityscape while enjoying locally sourced and crafted food and drinks (reminiscent of the Longmont farmers market itself). Executive Chef and Owner Sean Gafner has nearly 20 years of experience in cooking, catering, and teaching, and he presents a no-holds-barred menu every night of the week. For date night, check out West Side Tavern. Their seasonal menu is stocked with locally grown and sourced ingredients…because, obviously. They’ve got beers, wines, and cocktails you won’t find anywhere else, so if you’re really looking to impress, do a little menu research and order the perfect rare complement to your date’s meal. Care for a drink with that? 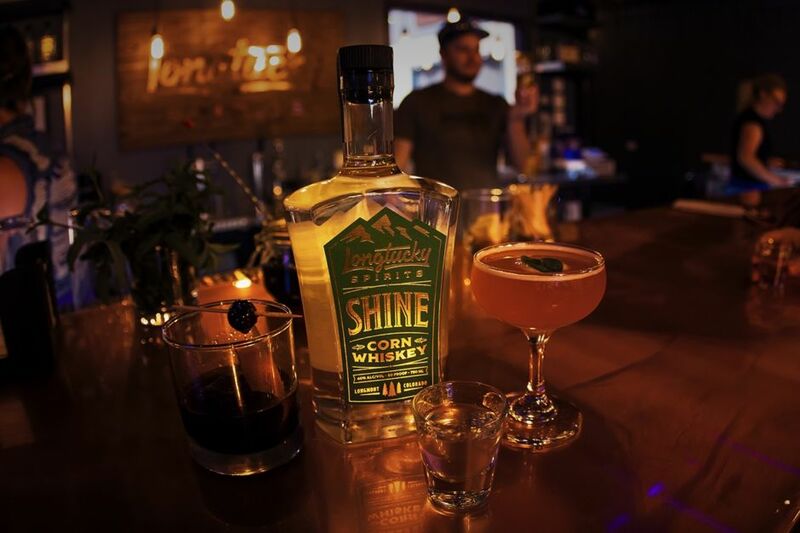 The craft distillery scene in Colorado is thriving, thanks to a close-knit but expanding scene of players. And in Longmont, a house-made drink is never more than a quick walk or bike ride away. I always encourage first timers to start at St. Vrain Cidery and their neighbor, Longtucky Spirits. This pair of craft powerhouses occupies the former home of the Longmont Times-Call, giving drinkers like me (who hold a soft spot for newspaper culture) even more reason to come in. Both offer welcoming tasting rooms filled with locals, making for a great place to sit and plan your next Longmont adventure. Still Cellars, another star on the scene, brings art into the distillery equation. I don’t know about you, but my appreciation for the crafty things in life steps up a notch when I’ve got a good cocktail in me, making Still Cellars the ideal place to be. Their live events calendar reads like a big-city concert hall’s — there’s so much going on here it’s tough to remember that Still Cellars remains, at heart, a place for artists to connect over a cocktail. Pro tip: Take in the live art performances, the conversation, and the stunning décor over a glass of their signature Apple Straightup. Beer lovers are taken care of too, of course. Stop by any reputable bar along the I-25 corridor, and there’s a good chance they’ll have either Left Hand Brewing or Oskar Blues Brewery on tap — both, in many cases. In Longmont, beer fans have the chance to tour these brew houses, grab a T-shirt, and hang out in the popular tasting rooms with area musicians, artists, and general merrymakers. But perhaps the coolest thing about the Longmont beer scene is the Brewhop Trolley. This party bus takes thirsty riders on a tour of Longmont’s 11 — yep, 11 — breweries. The name itself is a bit of an understatement, because St. Vrain Cidery/Longtucky Spirits and Anvil Distillery are also on the route. Tackle the tour like a true local and order a Black Jack Porter at Left Hand Brewing and tell the bartender at Oskar Blues you’re ready for Mama’s Little Yella Pils. Oskar Blues Homemade Liquids & Solids – 43 craft beer taps and an Americana-themed menu, perfect for summer excursions or after a snowy day on the hill. CHUBurger – It’s the current version of the former Bonewagon food truck, developed when the demand for their handmade burgers outgrew the confines of four wheels. Their food is locally sourced whenever possible. CYCLHOPS Bike CANtina – Pedal in for craft beer, tequila, and well-sourced food. That’s a recipe for success if I’ve ever heard one. Otherwise, get down on some fried deliciousness at The Post Chicken & Beer. This spot, run by Chef Smitty (Brett Smith), serves delicious comfort food and tasty beers from their sister brewery in Lafayette. Longmont is taking handmade to a whole new level. Part of experiencing the full spectrum of the city includes a bit of shopping in the town’s core, and there’s a ridiculously long list of local options in and around the Downtown Creative District. Start at YORE, where you’ll only find products that are ethically made, practical, and meant to last a lifetime. Then head to The Kitchen Co. — a locally owned shop that’ll turn any novice into a foodie — and don’t head home before hitting Colorado Aromatics (a bit east of downtown). They’ve got plant-based skincare products designed to soothe skin stressed from wind, sun, and generally being outdoors — a common affliction, what with those mountains just up the road. A dose of soothing indulgence is part of the plan here, as well. Robin Chocolates, run by professional chocolatier Robin Autorino (how’s that for a job title! ), is Longmont’s home for edible art and award-winning chocolate. Some of her delicacies are seasonal, others are available year-round. All are Instagram worthy. Here’s an idea: On a down day in Longmont, consider the challenge of keeping an entire day 100% local — it won’t be much of a challenge at all. This post is proudly published in partnership with Visit Longmont.